Offered here as a 2-Pack, the InSinkErator F-201R instant hot water dispenser replacement filter cartridge is built for use in refrigerators and icemakers, in addition to hot water dispensers. Installs quickly and easily, and immediately goes to work reducing chlorine, particulates, and sediment before they can cause flavor quality issues. Genuine OE part, made in the USA, that will perform for up to 12 months. 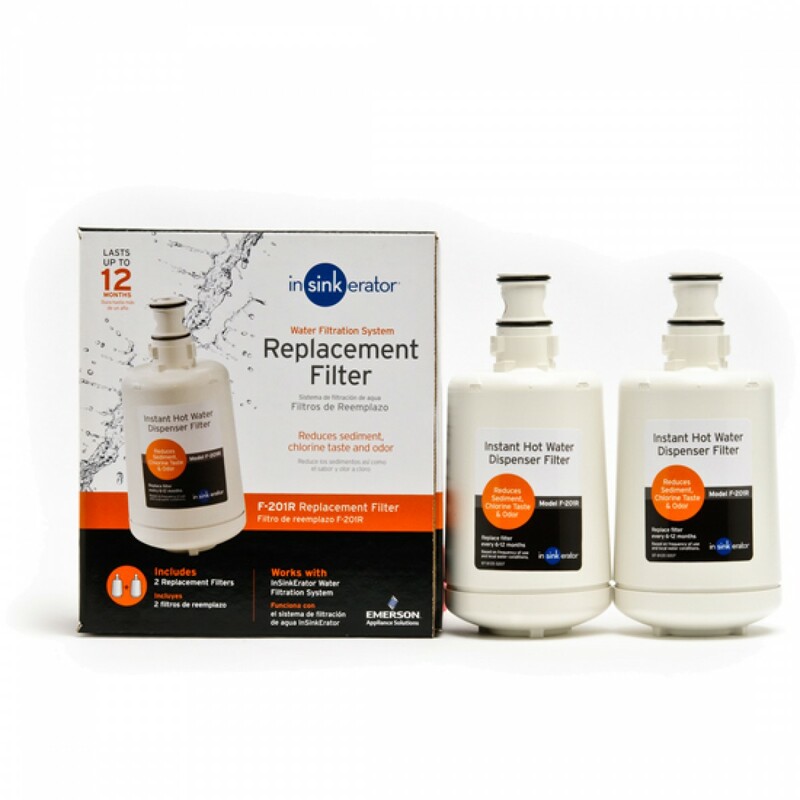 Order the InSinkErator F-201R instant hot water dispenser replacement filter cartridge 2-Pack today. The INSINKERATOR-F-201R does not reduce fluoride.